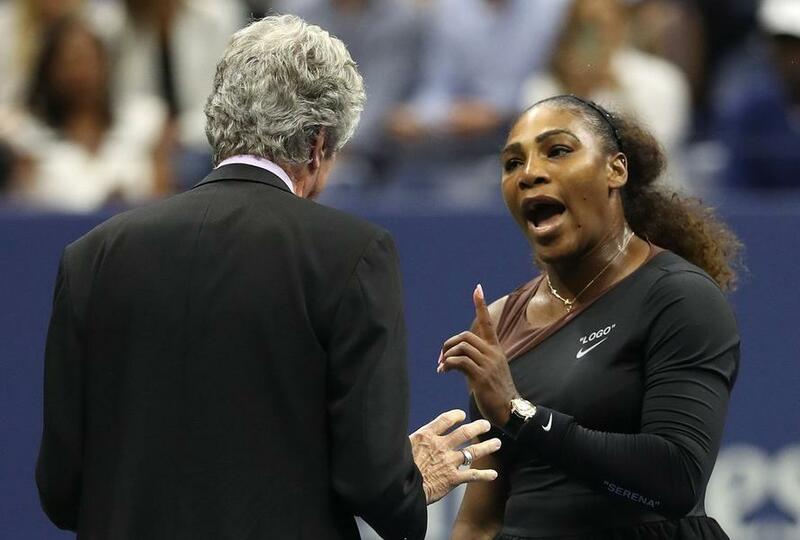 Top tennis umpires are reportedly banding together to consider boycotting Serena Williams, after she responded poorly to a late game penalty in last weekend's US Open women's final, according to the Washington Post. The umpires are also considering the formation of a union according to a Tuesday report, "in part because they are not allowed to discuss specific matches." Her coach, Patrick Mouratoglous, admitted to ESPN that he had in fact been coaching her from the stands - a clear violation. “Everybody does it — you all know it,’’ said Mouratoglou. Williams, on the other hand, told Ramos: "I have never cheated in my life. I have a daughter and I stand for what's right!" The tennis champion - fined $17,000 on Sunday, cried sexism - claiming that Ramos affords men greater freedom of expression on the court. 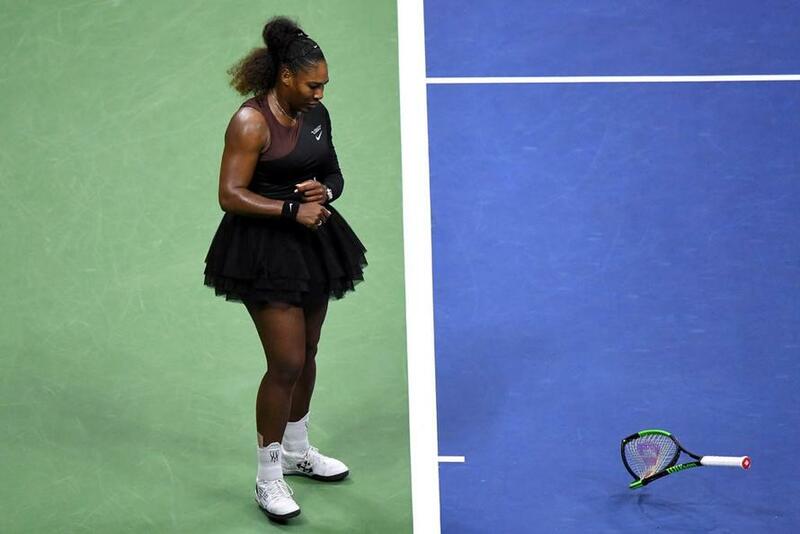 Women's Tennis Association CEO Steve Simon quickly supported the 23-time Grand Slam singles winner, saying in a statement that his organization "believes that there should be no difference in the standards of tolerance provided to the emotions expressed by men vs. women" and that it did "not believe that this was done last night." Others have pointed to Williams' history of harassing and intimidating female judges. [VIDEO]: If Serena Williams is "fighting for women's rights and for women's equality" why does she have a history of harassing and intimidating women line judges/players? She told one woman she was "unattractive inside" and threatened to hit another. The New York Post's Maureen Callahan said Williams' behavior was shameful - robbing her opponent, 20-year-old Naomi Osaka, the satisfaction of achieving her dream. The International Tennis Federation - the sport's governing body, defended Ramos on Monday, saying in their own statement that his "decisions were in accordance with the relevant rules" and that he "acted at all times with professionalism and integrity." "Umpires don’t have any independent means of representation and are employed by the governing bodies," one source told The Guardian. "If talking to the media is not allowed, and governing bodies are speaking out against them, what are umpires supposed to do?" Former top-level umpire Richard Ings told ESPN on Tuesday: "The umpiring fraternity is thoroughly disturbed at being abandoned by the WTA," adding "They are all fearful that they could be the next Ramos. They feel that no one has their back when they have to make unpopular calls." Ramos also received support from several major figures in the world of tennis. Former pro and sportscaster Mary Carillo said that he was "very, very respected," and that Williams on occasion "acts like a bully." 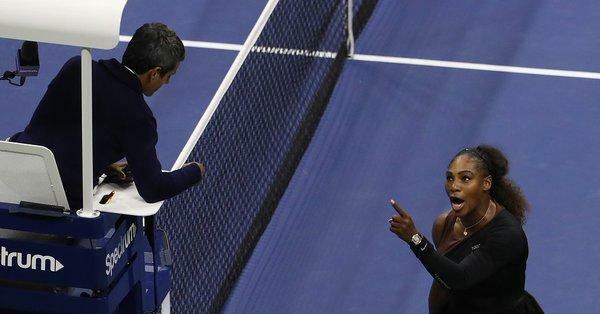 Martina Navratilova said in a New York Times Op-Ed that Williams deserved much of the blame; that she was "missing the point" of the game, and should have conducted herself with "respect for the sport we love so dearly" - adding "we cannot measure ourselves by what we think we should also be able to get away with ... In fact, this is the sort of behavior that no one should be engaging in on the court."